Custom manual payment module for wire transfer, cheques, etc. for AWPCP – Another WordPress Classifieds Plugin. During payment user is shown the bank-account details of the website and ID of transaction as payment-reference and is asked to pay via wire transfer or similar. 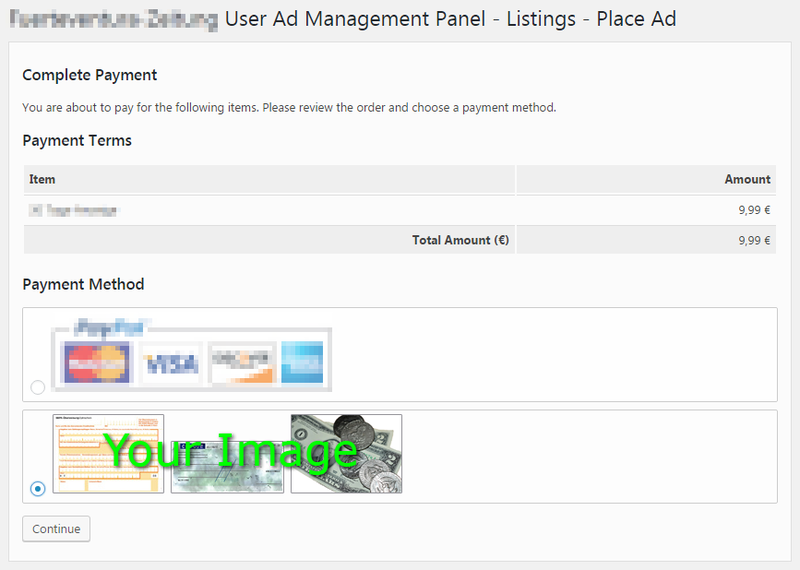 Notifications are sent to user and moderator as configured in AWPCP, the ad is saved as “disabled” with payment status “pending” in backend. If payment arrives, moderator can manually “activate” the ad so it shows up in frontend, payment status in backend is automatically set to “completed”. This entry was posted in WordPress Plugin and tagged AWPCP.